The 2017 season of The Apprentice has barely started, and two episodes in the normal mistakes are being made whilst we sit screaming at the TV for someone to do what seems completely obvious. Just for fun we have come up with our top 10 tips for The Apprentice candidates, to help them avoid the same pitfalls they seem to fall into time, and time again. Many of them are also good advice for anyone in business. The team name is completely unimportant, get on with something that matters. How often do they spend hours coming up with the corniest team name ever, only to end up rushing the important part of the task? Agree a reasonable team name quickly then move onto something that really matters. Get the maths and measurements right - check and check them again. We have already seen the quantities being incorrectly calculated and the prices being incorrectly added up (yet again). You have to get your numbers right, so double, triple check them. Sell lunch products at lunchtime - once more we have seen the candidates attempting to sell food products, in this case burgers, at 1:30pm, just after the lunchtime rush! If it's a lunchtime product make sure you are there selling it just before. and right through the lunchtime period. Allocate time to each task - we recently watched the interior design task. When designing the wall paper, all the available time was used up resulting in a 2 minute panic to hand draw a design. Take the overall project, break it down into time boxed tasks, and have someone tracking the time spent on each so you keep moving through the project without getting bogged down on any one task. Stop lying on your CV - we haven't seen this one yet but I will lay money that the normal CV exaggerations, and downright lies, will emerge in the interview task as much as I am looking forward to the normal grilling by Lord Sugar's finest. Any good recruiter would advise you against lying, but let's be honest, if it wasn't for those porkies they probably wouldn't get on the show in the first place. Listen to the market research - again it hasn't yet happened yet, but there has rarely been a season where one team has not overrulled whatever the market research said and it has often been the harbinger of their demise. 7) Advertise - The Product! Get the product in your advert - again, it's not been aired yet but will there be the normal arty adverts produced without the product being mentioned? Sense check your ideas - "Pantsman" - need I say more. Develop a pricing strategy - it always seems to be an oscillation between overpricing and fire sale prices. Inject some sense into your pricing strategy: costs + margin = sales price. In the design task the boy's team seemed to completely forget that they even needed to make a margin! 10) What Does The Boss Want? 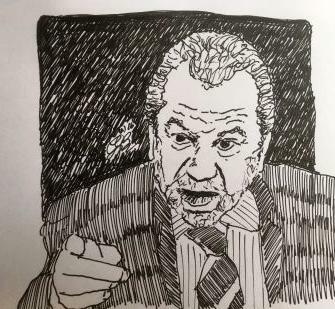 Listen to the clues - presumably the candidates hear the initial briefing from Lord Sugar that we all see? The clues are always in there "this is a pricing task" - "this one is all about selling" etc. There have been so many times when this direction has been overlooked in the excitement of coming up with a great design, or product. Ignore those clues at your peril - true of anyone that you are working for. If you actually assembled some of the best business people in the country, the tasks would run more smoothly and there would be far fewer errors. However, what would be the fun in that!